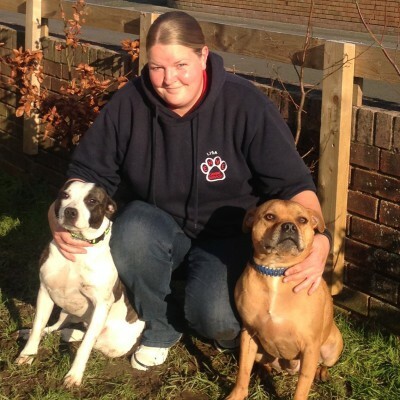 Emma has owned and trained dogs for the past 18 years and has specific personal experience with large breed dogs and dogs with aggression problems. Emma has previously owned Rocky a 10 stone Mastiff x GSD and Apollo a dog aggressive Ridgeback x GSD/Labrador. 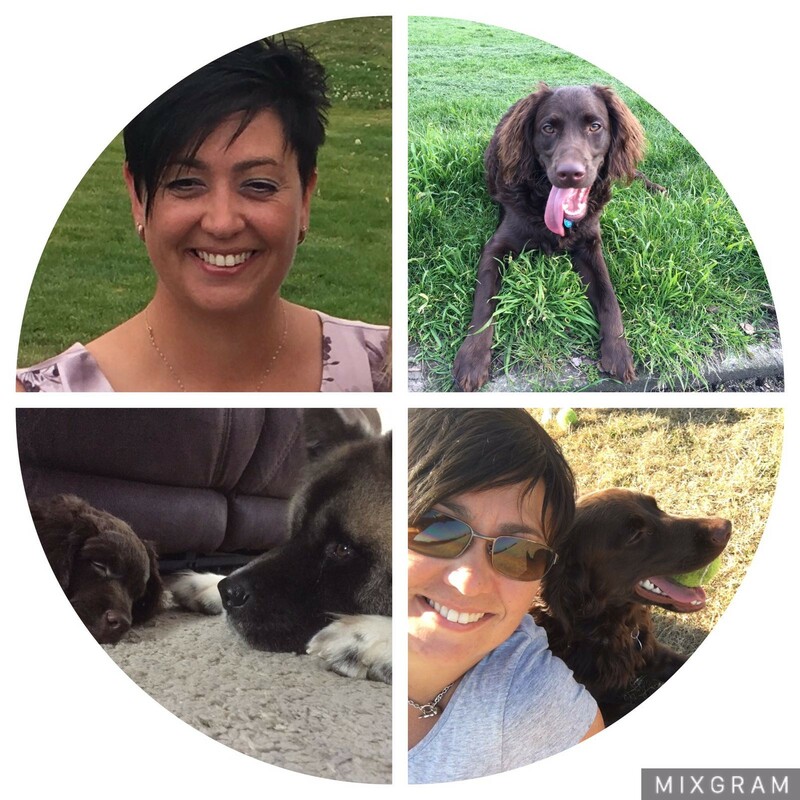 Emma added a new puppy to her family in September 2017 - Luca, a German Shorthaired Pointer. Luca loves his training, whizzing through the levels to pass his Gold award at just a week past his 1st birthday. Emma has many years of experience training people through various job roles and 20+ years experience schooling, training and backing young horses. 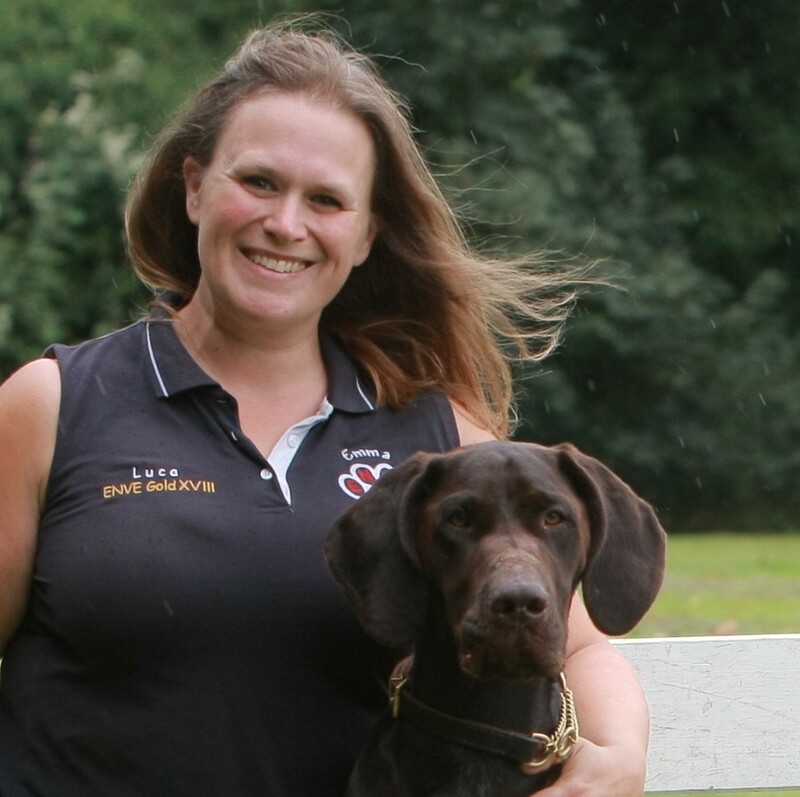 Emma has a Diploma in Dog Training, further qualifications in dog training with the Academy of Dog Training and Behaviour and is currently studying with the British College of Canine Studies. Ve is outgoing with a very good sense of humour. She has owned and trained dogs for over 20 years. Currently Ve has two dogs: Missie, a black Labrador Retriever who is registered as a Pets As Therapy dog and Mia a Yellow Labrador Retriever. As well has having a Diploma in Canine Behaviour, Ve is also qualified as a Veterinary Physiotherapist and a hydrotherapist for Small Animals. Bob has been in the training field for about 15 years teaching all over the world. Bob worked with search dogs during the former Yugoslavia war, helping to rescue people trapped during the fighting. 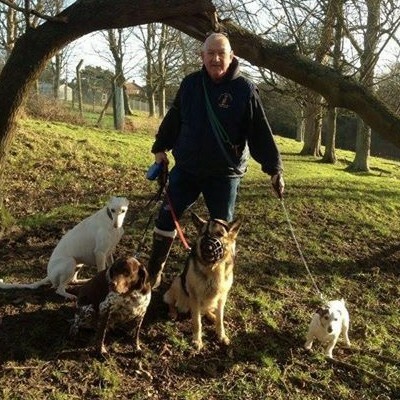 Bob has four dogs – Louie (Jack Russell), Maggie (pointer x), Mollie (German Shepherd) and Jaxson (Greyhound x). Bob originally came training with Maggie and after showing a flair for training and a fun loving personality he was asked to become an Instructor and he jumped at the chance. 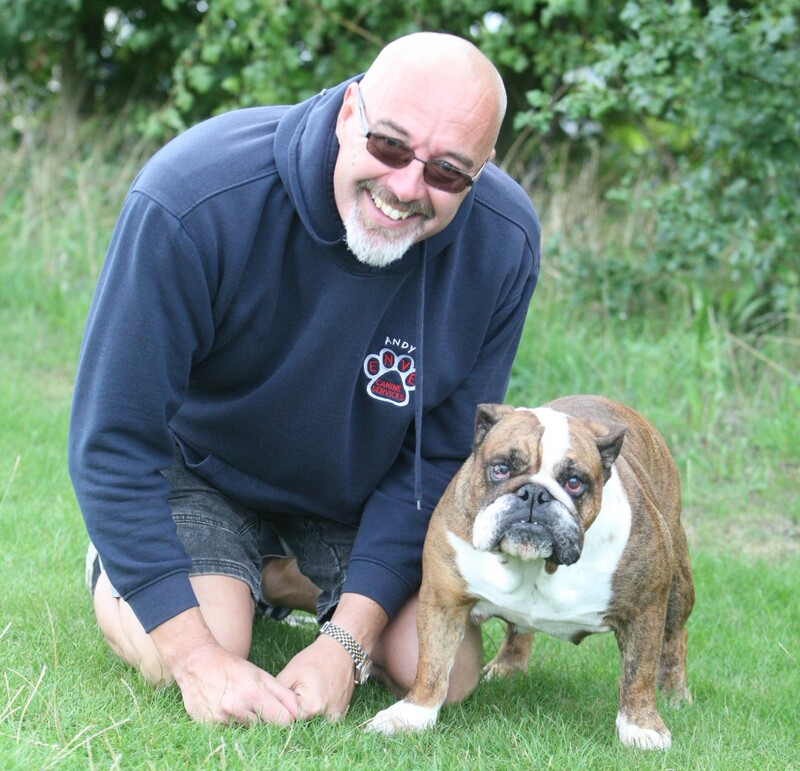 When we asked Bob what he liked about Enve Canine Services for his write up he said “What do I like about ENVE?…. everything – the people, the dogs, the club atmosphere and the trainers. It’s a fun place to be and unwind after a hard week”. Andy was the first person to ever achieve an Enve Gold Award with his Dogue de Bordeaux, Boz. Andy has gone on to train with several of his french and english bulldogs. He currently trains Maliboo, an english bulldog with a love of agility. 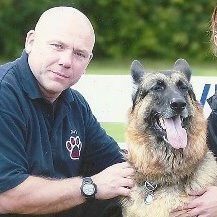 Del trained his German Shepherd Molly to Enve Gold II but sadly lost her to spinal disease and stroke in 2015. Rescue GSD Sadie joined him in 2016 - his next challenge is to get her to Gold II as well! Annette has had rescue dogs for over 30 years. The latest two Sheba and Cassie, both collies, love coming to Enve on a Sunday to socialize, play and learn. Cassie has had the full Enve experience coming up through puppies, bronze and silver classes and is now at gold. 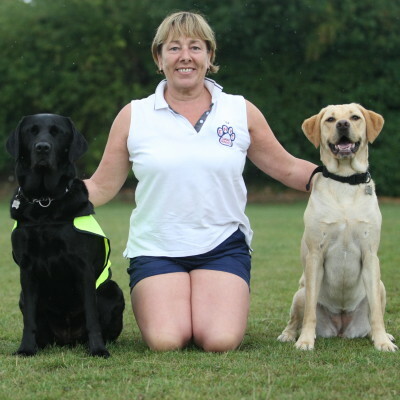 Ady has trained not one but two dogs to the Enve Gold standard – Maggie who he co-trained with Jan (his sister) and Maggie’s daughter Molly. 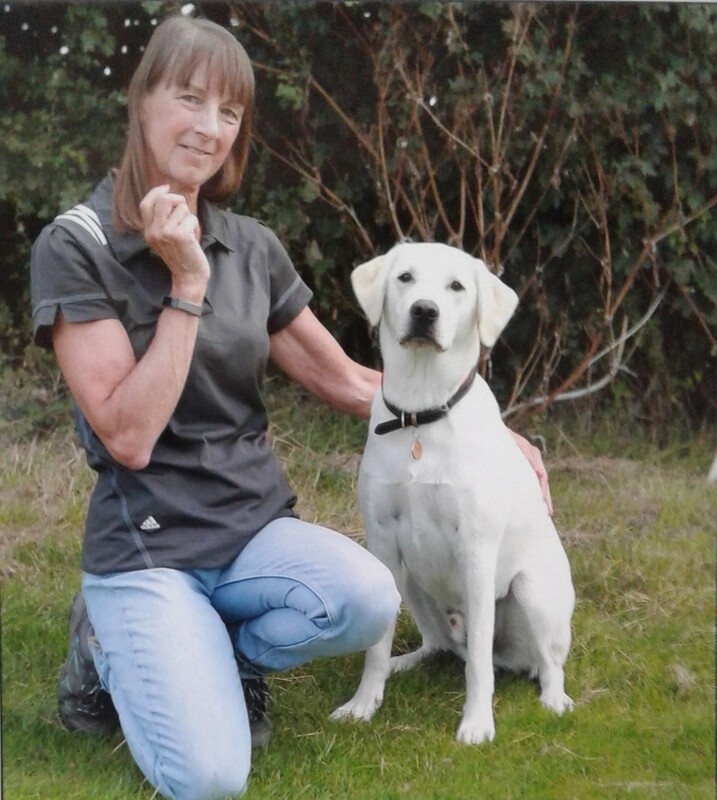 Jan has brought her yellow Labrador Maggie up through puppy class all the way to training her for our gold standard. 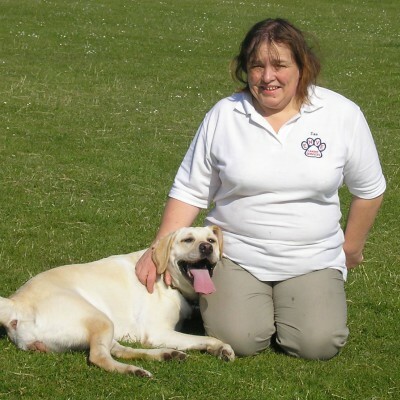 Maggie is mum to Ve's yellow lab Mia and to Molly whom Ady trained to also reach the Enve gold standard. 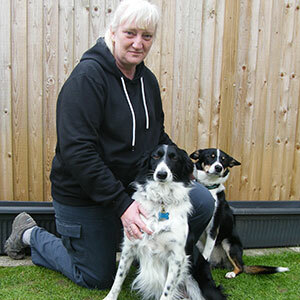 Linda owns two Belgium Shepherds (Tervuerun), Jasper and Saffy. Jasper is retired but she regularly competes at obedience with Saffy. I used to show Irish setters, with a fair amount of success at Open Shows. I loved the idea of a well-behaved dog that was not afraid of other dogs or being handled by the judges in the show ring, as well as being pretty stunning to look at. Many years later, my husband Paul and I decided to go back to having a dog around. So, now we have a rehomed Boxer and Hungarian Vizsla, and my Labrador who I’ve had from a puppy. I wanted to find a training school for Buster, my puppy, to make sure he was as ‘dog and people friendly’ as possible. I found Emma and Ve at Enve and decided this looked the right club for me, friendly, fun and a bit of agility which I hadn’t tried before. Buster started in puppies, has worked through the classes and in July 2018 passed his Gold award. At Enve, nothing is too much trouble, no one is turned away and you are guaranteed a bit of a laugh during your lesson. Having three dogs at home I’ve learned that they are very different in character and motivation for training. This is very true at dog training, there is no ‘one size fits all’. Every dog owner is shown how to work with their dog through play and reward to get the best from their relationship. For my part, since joining Enve, I have had the confidence to take a Competitive Obedience course – and passed with merit! I’m now doing a Puppy Care course followed by one on Canine Behaviour. Suzy has had 3 dogs in the last 25 years, 2 GSD's who were people friendly but could be dog aggressive and made walking a chore. Each was raised from a puppy, but none had had any obedience training. In 2015 Bear - the labradoodle - cockerpoo cross came along, and eager to have a well rounded, obedient and social dog, Suzy booked Bear on his first puppy course. At the age of just 14 months Bear & Suzy obtained their Enve Silver II award and at 20 months passed their Enve Gold I - they are now striving for Gold II. Suzy says joining Enve has given Bear the best possible start to his life. 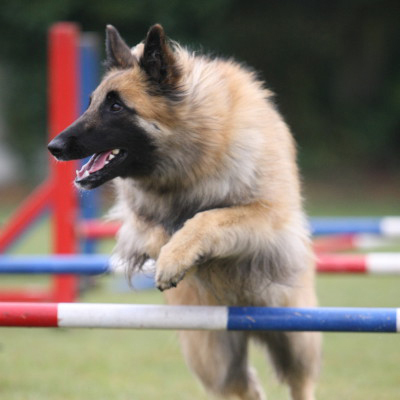 Classes are structured but fun, and agility is their favourite. ``Everything we learn in training can be utilised in the home, & make for a stress free environment where I am in charge. Pavement walks are a pleasure, no pulling on the lead in my life anymore. The best part of my day is getting out for the afternoon walks, meeting all of his dog buddies & their owners and enjoying the relaxing and stress free walks, whilst the dogs all run around and play. Such a difference to how my walks used to be. All thanks to the great training from the instructors at Enve. Now I have the opportunity to help other dogs and owners to the best possible start in life``. And we mustn’t forget Tracy and Lynsey at Canterbury who feed us and supply us with tea and coffee – thanks ladies!